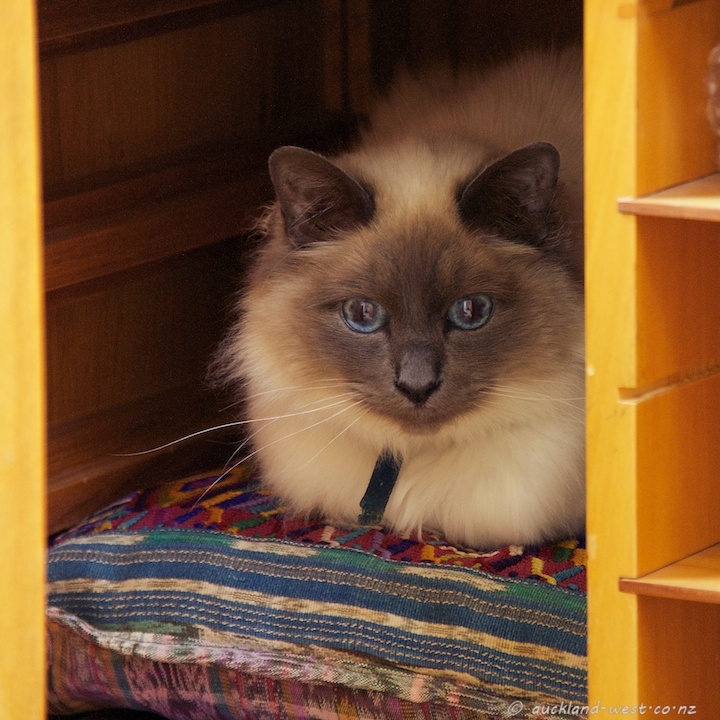 Our neighbours’ Birman cat Charlie wants to move house. He frequently comes visiting, settling in for long sleeps, or inspecting everything new or unusual. Here he found an open cabinet door, surveying the scene from a new vantage point.